Ok, now before anyone points out the obvious yes we are only partway through the group phase but this is my blog and I make the rules! With the second round of matches more or less out of the way now I have decided to have a quick look at some of the standout individual performances in the tournament so far. In my view Bayern striker Mario Gomez went into the tournament with a little bit of a point to prove after a disappointing night in the Champions League final against Chelsea. Well, with 3 goals so far he has more than delivered. Whilst he was the scorer of the only goal against Portugal was important it is two strikes against Holland which really impressed. In particular his first where he timed his run to perfection and scored a goal that Dennis Bergkamp would have been proud of. I would be surprised if an in form Gomez couldn’t fire German on to at least a Semi Final place. 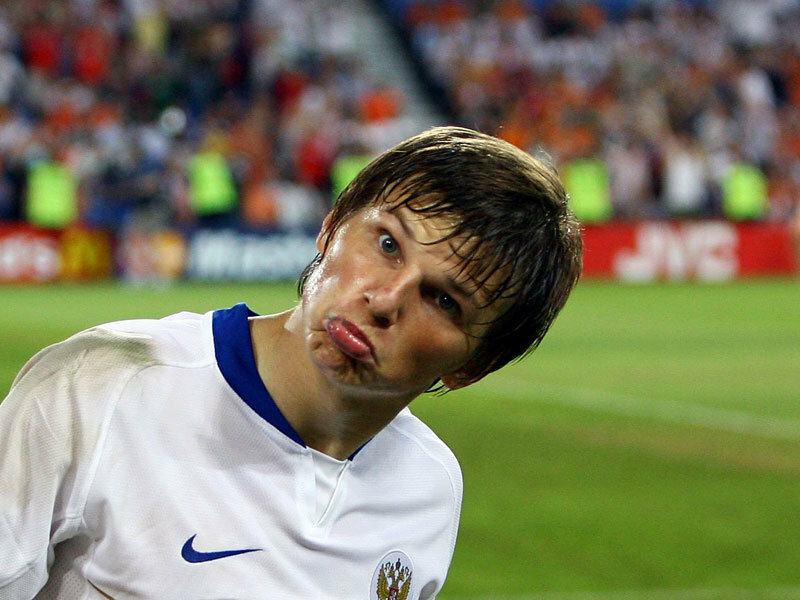 If I had to pick three words to sum up Arshavin’s time at Arsenal they would be frustrating, lazy and mercurial. After the initial promise Arshavin has pretty much failed to deliver. Yes people can point to his assist rate but it is more his work rate or lack of that bugged me. He just doesn’t seem to care. Well if for Arsenal Arshavin has been found wanting it has been a completely different story for the Russian national side. This is the Arshavin that Arsenal fans have been crying out to see, making runs, picking out passes and just generally pulling the strings in the way we know he can. Russia have been one of the standout teams for me and I credit Arshavin with being a big part of that success. If it hadn’t been for injury to first choice striker Ivica Olic then Wolfsburg striker Mandzukic would likely have found himself consigned to the bench. Well couldn’t that have proved to be a mistake? With 2 well taken goals against Ireland and the all important equaliser against Italy last night. Mandzukic is proving to be a more than capable replacement. Here is hoping Croatia can manage to make it out of the group stage so we can see more of this promising forward. With 3 goals to his name so far 21 year old Dzagoev is really starting to live up to Russia’s expectation. The CSKA Moscow striker has been a revelation so far and if not quite the dark horse that some people are making him out to be he has certainly raised more than a few eyebrows as Russia have looked more than good value for a tilt at the title. If you have ever had the pleasure of listening Niklas Bendtner then you will be well aware that he is a supremely confident young man,some might even say arrogant. Well Sunderland’s top scorer last year, a mighty 8 goals, has started to live up to a little bit of his own hype after netting two well taken goals against Portugal. Of course the controversial 24 had to go his own way by flaunting tournament rules against and flashing his Paddy Power sponsored boxer shorts. At 35 there are some people who thought that this might prove to be a tournament too far for Shevchenko. Well two goals against Sweden from the talismanic striker will have gone someway to proving them wrong. Shevchenko has always been a player for the biggest of stages and an excellent start to the tournament so far coupled with his resurgence for Dynamo Kyiv is just going to show why he is still top dog for the Ukraine. 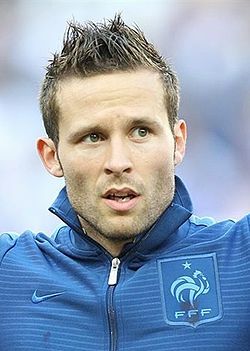 Cabaye was the best midfielder on show in the France v England match by some distance, especially when compared with Scott Parker…. The Newcastle player dictated the tempo of the entire game and showed levels of class that may yet earn him a move away from St. James Park. He controlled and patrolled the middle of the park with ease and it was on this foundation that France dominated the entire game. Gomez might be getting the plaudits for scoring 3 very good goals but if he is pulling the trigger than it is Bayern Munich midfielder Schweinsteiger who is providing the ammo. In fact I would go so far as to say that Germany’s chance of winning the tournament revolves heavily around Schweinsteiger’s ability to set the tempo of the game more or less single handed. Approaching his prime at 27, Schweinsteiger’s influence was evident again on Wednesday when he set up both goals as Germany beat the Dutch 2-1 with a lesson in fast, powerful and clinically effective football. As one of the people who was less than impressed with the manner in which we carried out our transfer business last Summer – a sort of footballing version of “Supermarket Sweep”. I am very pleased to see that we have secured one of our long term targets not only before the Euros start but before the season even concludes. That the player in question is one Lukas Podolski makes me even happier 🙂 His time at Bayern aside I have always quite liked “Prinz Poldi”. I am quietly optimistic that his arrival will produce not just some goals and assists to ease the burden on our own Captain Vantastic but also give some of our wide players a much needed kick up the arse… Gervinho I am looking squarely in your direction….